Prada is now a worldwide empire, with stores in practically every country in the western world. It is a million-dollar concern, with every celebrity wearing Prada clothes. The Prada brand targets an international customer base that is modern, sophisticated, attuned to stylistic innovations, and expects craftsmanship of the highest quality. 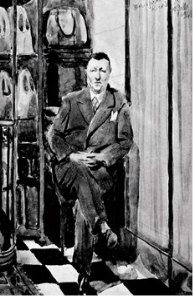 The brand’s iconic trademarks, which are readily recognized around the world, incorporate the Savoy coat of arms and Savoy figure-of-eight knot, reflecting its heritage as an official supplier to the former Royal family of Italy. Introduced in the 1980s, Prada’s famous black nylon bag with the signature triangle logo has been an enduring classic, with both the nylon bag and the logo becoming icons in the brand’s history. The Prada brand represents the best of Italian culture and tradition, sophisticated style and uncompromising quality, and as one of the most innovative fashion brands are capable of re-defining “the norm” and setting new trends. Prada also captured the attention of literary and cinematic audiences when the novel “The Devil Wears Prada” was first published in 2003, and then was made into a movie in 2006. The Prada brand’s distinctive originality is built on its unique approach to style, craftsmanship and constant innovation in materials and designs, as we unceasingly exert creativity in the development of fashionable designs, sophisticated fabrics and innovative production techniques. At the heart of the evolution of fashion, we believe Prada has been a sophisticated interpreter of its times and a forerunner of style and trends. Prada is a premium brand. It is very high quality which unfortunatly comes with a substantially high price tag. Under geographical segmentation, product or service is divided accordingly to geographic units, such as nations, states, regions, countries, cities or neighbourhoods. Psychographic segmentation divides the market into groups based on social class, lifestyle and personality characteristics. The PRADA brand targets an international customer base that is modern, sophisticated, attuned to stylist innovations, and expects craftsmanship of the highest quality. 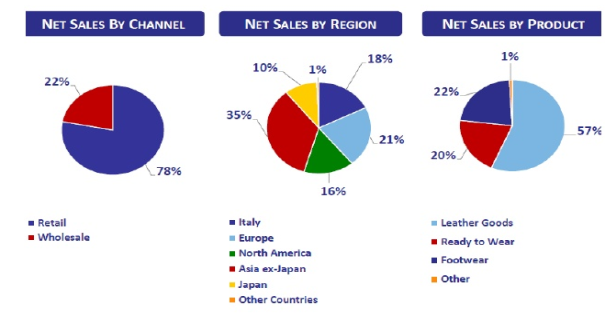 The retail channel, represented by the single-brand stores (including the three Epicentres) directly operated by the company, which currently account for approximately 78% of sales; the independent channel of multi-brand stores, department stores and franchises (so called wholesale). This distribution solution enables the Group to have a presence in the most exclusive points-of-sale which are either single-brand or multi-brand worldwide. The Group’s commercial strategy is based on a selective analysis of the potential of individual markets, an innovative approach and rigorous control of display and presentation criteria, and a continuous search for original sales concepts. Prada has always pioneered new solutions combining design, architecture, and technology to create environments that not only encourage sales but also communicate its unique strong brand identity and the cultural influences and values of the Prada world in a consistent and homogeneous way. Towards the end of the nineties, Prada decided to redefine the concept of shopping and enlisted the help of pioneering architects of international renown, Rem Koolhaas and Herzog & de Meuron, recent winners of the prestigious Pritzker Prize. The result of this partnership was the creation of the Prada Epicenters: areas and buildings which have rapidly acquired landmark status both locally and internationally. Prada’s Epicentres have not only transformed the concept of shopping but have also fused it with cutting edge technology and a multitude of cultural stimuli, offering customers a whole range of unique experiences and exclusive services. 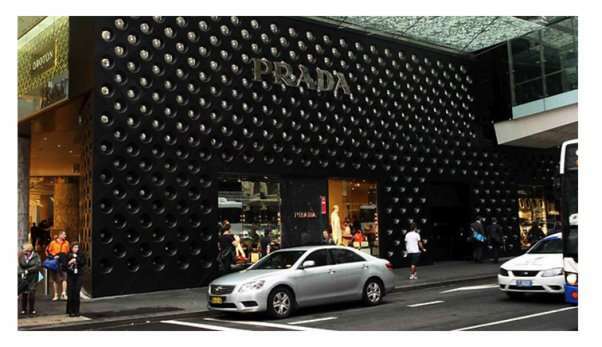 There are currently three Prada Epicentres: one in SoHo, New York (designed by Rem Koolhaas in 2001); another in Aoyama, Tokyo (Herzog & de Meuron, 2003); and the third in Beverly Hills, Los Angeles (also by Rem Koolhaas, 2004). Directly operated stores, including the three Epicentres, are designed, constructed and managed in accordance with precise guidelines: location chosen are among the most prestigious and the personnel is selected and trained to provide customers with an exclusive treatment. This type of store contributes to maintaining a very close relationship with customers, providing immediate information about the market trend. Moreover, direct-sale stores also provide very valuable support for the brand, acting as true ambassadors communicating the Prada image consistently and uniformly all over the world. Prada manages the independent shops and department stores channel based on selective distribution and a well-defined strategy of control aimed at maintaining outstanding quality and high volumes, ensuring consistency in merchandising and monitoring sales performance. Franchise shops are located in specific markets where this form of retail is imposed by local legislation or custom, and entail partnerships with local entrepreneurs with an excellent knowledge of the relevant market. The wholesale channel, besides ensuring the brand benefits by a series of shop windows in particularly significant positions in key markets, enables a direct and immediate comparison to be made with the competitor brands. 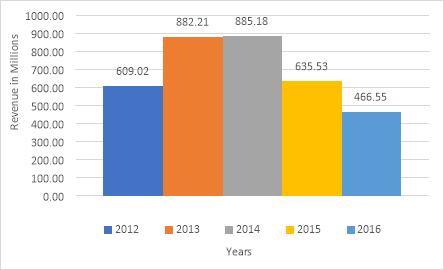 Therefore, the sales trend through the independent channel represents a very useful indicator of the consumer trends and brand strength. Like the collection itself, the campaign – shot by Steven Meisel – is very pretty, but odd. There’s a sense of isolation in the arrangement of the models, who do not look at or touch each other but stare at an unspecified object off-camera. There’s also a feeling of youth and newness provided by a cast of fairly new faces, including Avery Blanchard, Estella Boersma, Inga Dezhina, Lineisy Montero, Ine Neefs, Greta Varlese and Maartje Verhoef, all of whom have walked the runway for Prada and/or Miu Miu this past seasons. Prada has a knack for casting promising models fairly earlier in their careers, so while some of them already have a campaign or two under their belts, expect to see these girls even more in the coming seasons. Montero, whom everyone started talking about when she walked in the brand’s fall 2015 show, has already landed a Teen Vogue cover. 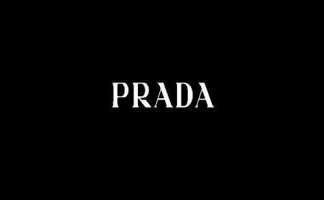 Website as a whole and all material on this Website, as well the “Prada” trademark, are owned and registered by Prada S.A., a company with registered office at 23 rue Aldigren, L-1118 Luxembourg. 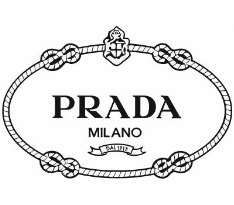 Prada website is operated by Prada S.p.A., an Italian corporation having its principal place of business at Via Antonio Fogazzaro 28, 20135 Milan, Italy, operating holding company of the Prada Group. Prada S.A. and Prada S.p.A. are collectively referred to as “PRADA”; Prada S.p.A. and its subsidiaries will be collectively referred to as “Prada Group” hereinafter. All trademarks and logos, whether registered or not, displayed on the Website, including but not limited to the “Prada” trademark, as well as all the other distinctive marks connected with PRADA and reproduced on the Website, are and will remain the exclusive property of Prada S.A.. 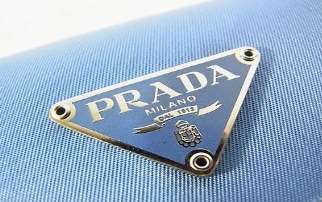 These trademarks may not be used in connection with any product or service that does not originate with PRADA, in any manner that is likely to cause confusion among users, or in any manner that disparages or discredits the “Prada” name and trademark and the products bearing the “Prada” trademark. Prada website and all the content included therein, including, but not limited to, all texts, information, data, images, icons, photographs, illustrations, multimedia content (graphic, audio and video), charts, indices, descriptions, data, software, HTML codes and screens contained therein and the like (hereinafter collectively “Content”), is owned by or licensed to PRADA and is subject to protection by international intellectual property laws, including, but not limited to, rights in the nature of patent rights, copyrights, trade secrets, trade names, trademarks, service marks, moral rights, know-how and any other similar rights recognized under laws or international conventions in any country or jurisdiction in the world. All materials contained in this Website, except for the “e-store” section, are displayed for informational or promotional purpose only. Subject to these Terms and Conditions of Use, and except as otherwise indicated on the Website, you may access, download, copy, store, manipulate, reformat, print or display any Content to which you have obtained authorized access solely for your personal use and not for business purposes. You may not otherwise download, copy, store, manipulate, reformat, print, display, publish, transmit, distribute, create a derivative work from, resell or make any other use of, the Website, or any Content contained therein. People aware that the “Prada” products are sold exclusively at “Prada” monobrand stores, at prestigious multi-brand stores and points of sale belonging to Prada S.p.A.’s selective retail network, outlets belonging to the Prada Group and in the “e-store” section of the Website which is only available in certain countries, as better specified on the Website. Any purchase outside of these points of sale is entirely at the purchaser’s risk, in particular with regard to the authenticity of any such purchased items. Miuccia Prada is the co-CEO and lead designer of the handbag and fashion empire Prada, in which she has a 28% stake. In 1977 Miuccia and her siblings Albert and Marina inherited the family fashion business, founded in 1913 by their grandfather. Miuccia met Patrizio Bertelli, who ran a luxury leather company, at a Milan trade show in 1977 and signed him on as a contractor. A year later, they were married and Bertelli joined the company, taking care of the business side of things while pushing Prada into new directions. He serves as co-CEO with Miuccia, and his stake in the company also makes him a billionaire. In 1986 Prada opened its first store in New York and expanded beyond high-end suitcases, handbags, and steamer trunks. A few years later, the company unveiled a ready-to-wear women’s collection and a second brand, Miu Miu. Miuccia, who has a Ph.D in political science from the University of Milan, took the company public with Bertelli in Hong Kong in 2011. Our Board consists on nine Directors, of whom four are executive Directors, two are non-executive Directors and three are independent non-executive Directors. The ordinary shareholders’ meeting of 26 May 2015 resolved to appoint the Board of Directors for a term of three financial years. The board’s mandate will therefore expire with the shareholder’s meeting to be convened for the approval of the financial statements for the year ending 31 January 2018. In 2000 the PRADA Group developed its first Prada and Miu Miu branded sunglasses, and in 2003 it signed a licence agreement with Luxottica Group, a world leader in eyewear. Under the creative supervision of Miuccia Prada and Patrizio Bertelli, Prada coordinates the conception, design, styling and communications for all collections, while Luxottica has exclusive worldwide rights to the production and distribution of Prada and Miu Miu sunglasses and eyeglasses. Not only is this an important business agreement, but it is also an excellent example of comprehensive cooperation – in creativity, style, production and distribution – between two of Italy’s foremost industrial groups. In 2003, an agreement was entered into with Puig Beauty & Fashion Group, one of the world’s largest producers of cosmetics and fragrances, creating a joint venture for the production, distribution and development of Prada perfumes. Amber perfume has enjoyed encouraging commercial success in all markets where it has been presented. In 2006 Prada unveiled its first men’s fragrance, Prada Amber Pour Homme, marking the birth of the first Made in Prada perfumes family under the amber scent. A new perfume for women, Infusion d’Iris, was launched in 2007, which was the key to developing a series of complementary, innovative and personal products for bodycare and for the home. From this new pillar a collection of limited edition fragrances was derived: the Ephemeral Infusion Collection that includes Infusion de Fleur d’Oranger, Infusion de Tubéreuse and Infusion de Vétiver. 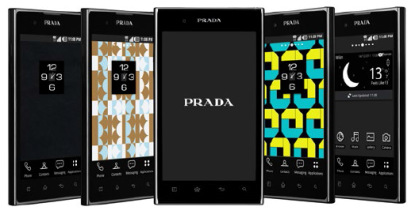 In 2006, the PRADA Group entered into an agreement with LG Electronics, one of the world leaders in mobile telecommunications technology, to develop an “innovative and iconic” mobile telephone. By leveraging their respective skills, Prada and LG explored all of the product’s aspects together, both in terms of the contents (for example: software, user interface and music), and in terms of the presentation (from the design to the packaging): the partnership created the “Prada Phone by LG”, a unique, sophisticated and elegant telephone, the first in the world to have an interface that is completely touch screen. The “Prada Phone by LG” was launched in March 2007 in Italy, Great Britain, France and Germany, and subsequently on the principal Asian markets and in Latin America. The product’s high qualitative and innovative content enables a significant commercial success to be achieved, with more than 1,000,000 mobile telephones sold. In October 2008 Prada and LG launch the second phone, another quantum leap in mobile phone innovation and design, thanks to ultra-thin keyboard and new enhanced technological features. In December 2011, Prada and LG unveiled the partnership’s latest smartphone, the Prada phone by LG 3.0 that combines Prada’s distinctive style with LG’s innovative technology, including one of the biggest and brightest screens in the world with 4.3inch and 800-nit screen. Product distribution is handled through five central warehouses, four in Italy and one in UK. It is managed by a group division which coordinates product storage, shipping and distribution, as well as arranging transport and customs procedures. Central to the Prada Group’s distribution strategy is the development of its retail channel in all markets, both consolidated and emerging, focusing in particular on nations with high growth potential. The Group’s distribution network extends across 70 countries, counting 551 directly-operated stores (at 30 April 2014), which form the backbone of the Group’s international expansion strategy, and a selection of department stores and multi-brand retail spaces in the most significant cities and stylish locations. The reasons for this strategy are many: not only the DOS are the supreme showcase for newly-launched collections, but they also offer a direct relationship with customers and provide real-time feedback on how each product category is performing. Over and above their primary role as a sales point, DOS also represent an important communication tool: real embassies of each brand, they portray their image in a clear and consistent manner. 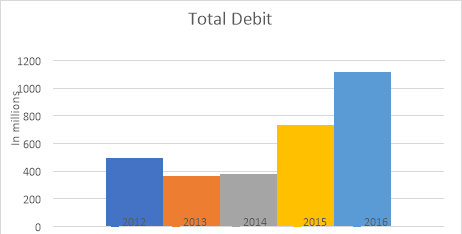 Direct sales account for about 83% of consolidated revenues while the remaining 17% is generated by the wholesale channel (multi-brand retail spaces and department stores 16%), from franchising (about 1%). 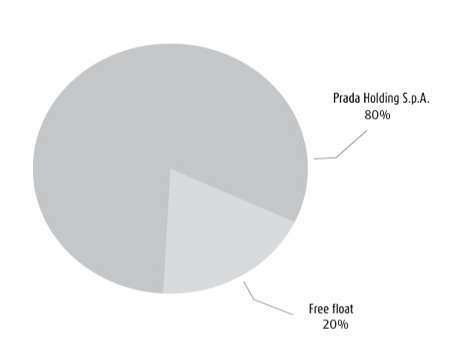 Year on year Prada SpA’s net income fell -26.59% from 634.04 million to 465.46 million despite relatively flat revenues. 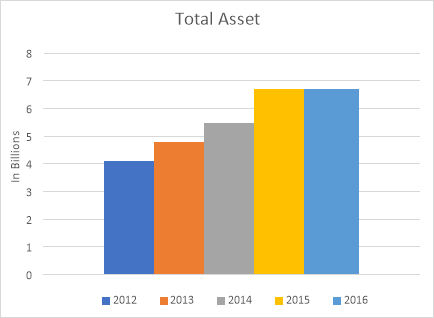 A contributing factor has been an increase in the selling, general and administrative costs as a percentage of sales from 48.33% to 54.41%. 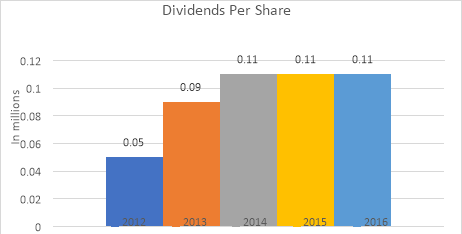 Year on year, growth in dividends per share remained flat while earnings per share excluding extraordinary items fell by -26.59%. 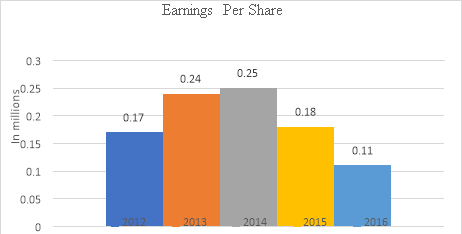 Additionally, five year annualized earnings per share growth is in-line with the industry average relative to its peers. 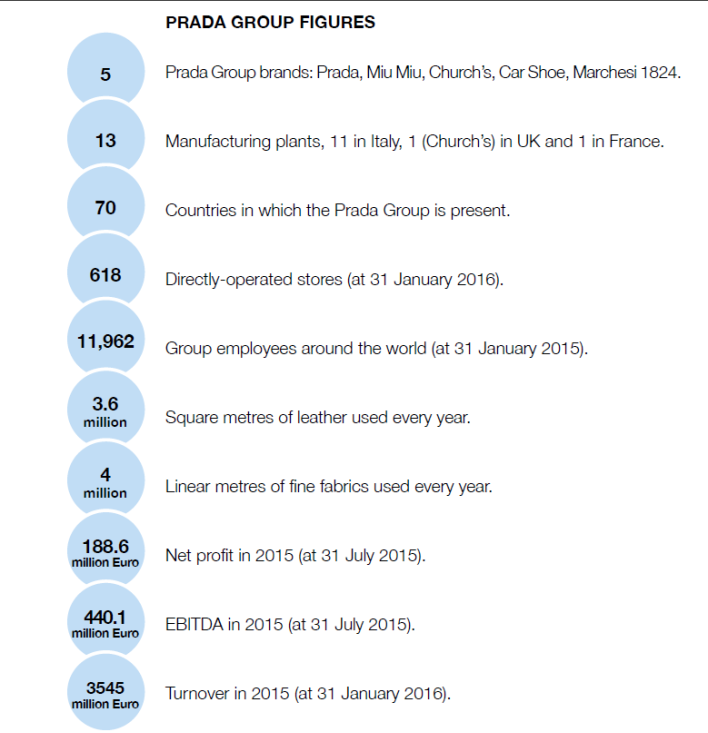 The analysis of Prada’s strategy highlights the main strengths, weaknesses, opportunities and threats of the organisation especially through environment change. The capabilities recognised can be used to collect future opportunities provided by the external environment; the achievability is however affected by the culture of the organisation. The purpose of the SWOT will specify the significances of Prada’s strategic choices in order to inaugurate recommendations. â€¢Innovative products – what could Prada produce that Gucci or Burberry have not? Prada, an exclusive company, has had an intimate amount of detail in its strategy since its establishment in 1913; it is evident to see how the company takes pride in each of their processes and the highlighting of their significance. 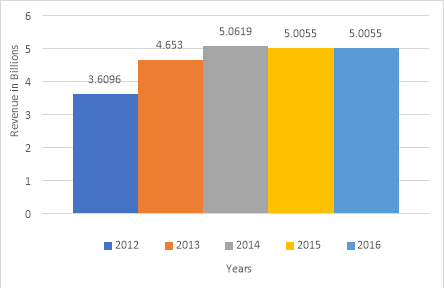 By conducting several types of analysis such as VRIO and porter’s 5 forces, Prada’s competitive advantage, strategic position and strategy implementation became apparent, as did the effects of the macro environment and trends in competition. One could reflect that Prada’s main strategies lie between distribution as internationalisation being a varied form of diversification but into new geographical markets, and innovation. The current issues amongst Prada’s strategy lie within these main focus areas as Prada have created an imbalance of priority; too many DOS with dated products. Not only has this had a contrasting influence for their reputation and demand, the sales have plummeted and Prada are having financial difficulty. The analysis of the strategy formulation and implementation evaluated in the report has empowered; rigorous cost management, strengthening of processes and focus on product excellence, respectively. All three of which create solutions and high advantages for the current issues in Prada’s strategic implementation.